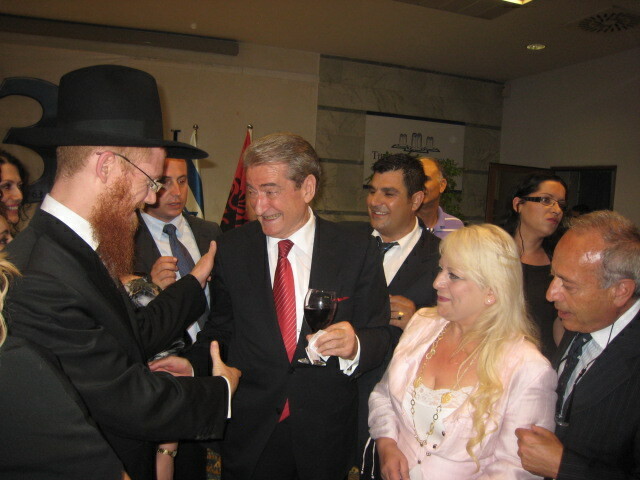 Dr. Haim Reitan, diplomat and Honorary Chairman of Diplomatic Mission Peace And Prosperity has many years that works to bring in Albania investors and donators from Israel. With hard work and efforts, he already has reached to make present the Israeli business in our country. Together with some other partners, at the very end he lobbied to bring in Albania Mr. Avigdor Lieberman, Vice Prime Minister and Minister of Foreign Affairs of Israel, with the aim to strengthen further bilateral relations. Israeli vice Prime Minister met main personalities of Albanian politic, Jewish community in Albania and Israeli businessman. As priority fields of economic collaboration Albania – Israel are: energetic, tourism, agribusiness, utilization of water, air and marine transport, etc. An important objective for further development of commercial relations between two countries is the strengthen of the legal framework and of the business forum, which is already a reality and part of common politics. The business forum has been prepared for a long time, giving the Israeli companies the opportunities to be present here in Albania. These companies have already clear ideas what must be done in our country, what opportunities will be created due to frequent presentations that will be done from Israeli part as well as Albanian part. 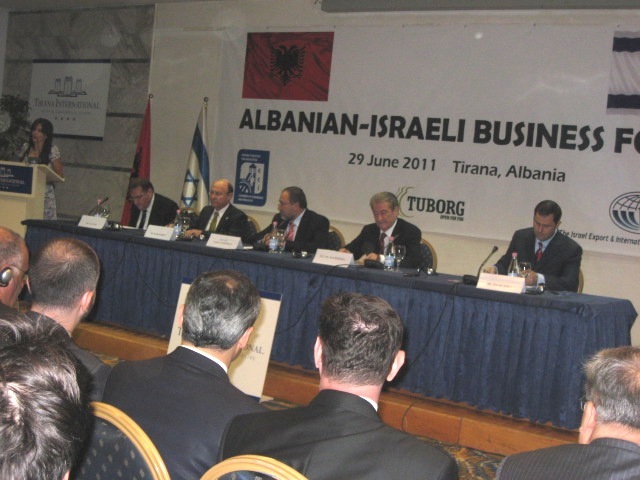 Dr. Haim Reitan, diplomat, Honorary Chairman of Diplomatic Mission Peace And Prosperity with Mr. Avigdor Lieberman, Israel vice Prime Minister, Mr. Sali Berisha, the Prime Minister of Albania, Genc Pollo, Albanian Minister, Israeli community and business in Albania.